When I was in the Turkish city of Mugla I tripped on a pavement and fell hurting my face quite badly. No sunbathing for the rest of my holiday but a great shady spot near the pool and lots of tatting. Great interest was shown by fellow guests not only in my bruises but what I was making. I made about 20 or so of the Circle of Life patterns while teaching a few of the ladies to tat. Their rewards were the circles we made together. We had lots of laughs and I made some friends; particularly the 4 year old little girl called Daisy who felt it was her duty to come and ask me if I was OK about once every hour. What joy tatting is. It lightens even our darkest hours. 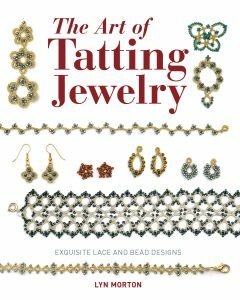 This week’s post is from Hye-Oon Lee, author of Lovely Tatting: Doilies for Spring and Summer. 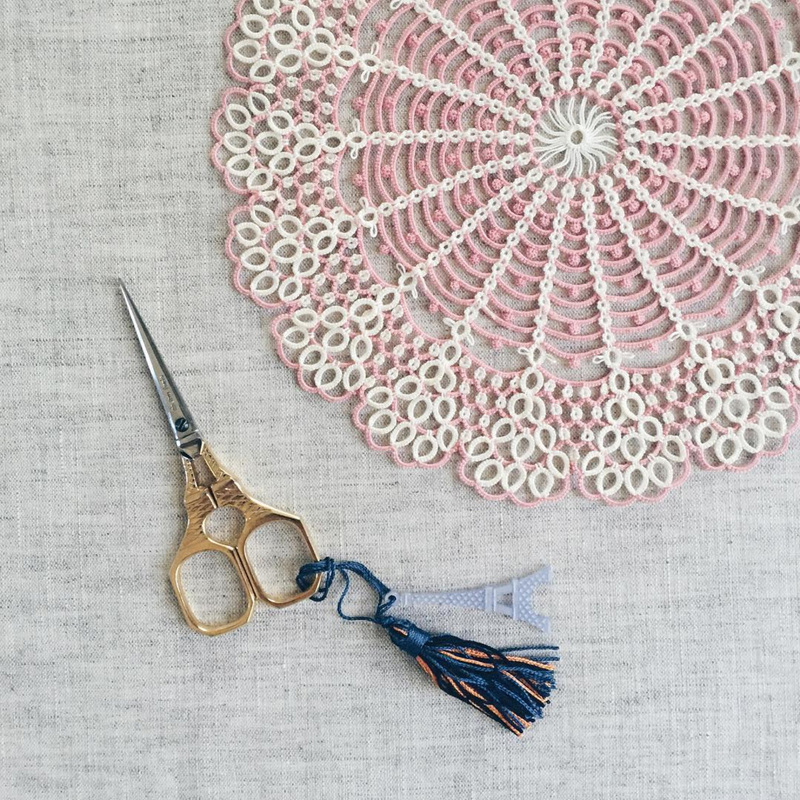 This is the second post from Hye-Oon, and tells the story of the creation of the Frances Doily, found in her book. Ever since they were little girls, my daughters loved The Secret Garden by Frances Hodgson Burnett. It is a story of growth and change and healing. My daughters watched the 1993 film over and over again as they were growing up. The scenes are beautifully shot, with lush gardens and Victorian-era costumes. As I watched my daughters enjoying the film, I was inspired to tat the Frances Doily. I think the use of two colors, white and soft pink, gives the doily some dimension and reminds me of flowers and ruffled dresses. However, other color combinations would work just as well and would render completely different and unique effects! 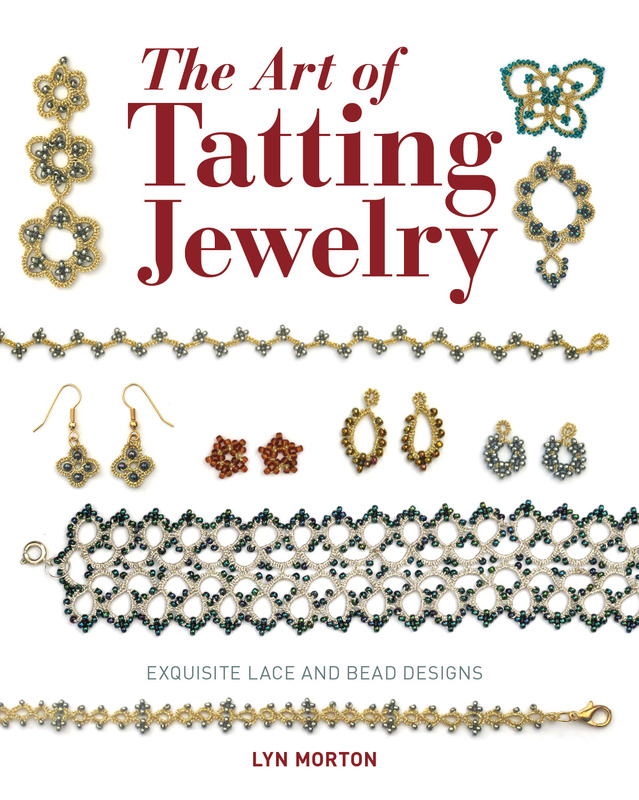 Lisa Adams on Sneak Peek at Tat Days 2019 Projects! 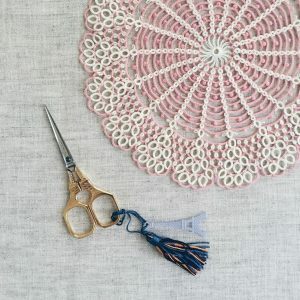 Lori Jones on Sneak Peek at Tat Days 2019 Projects!